Monday, November 5, 2018 @ 6:00 p.m.
1. OPENING OF COUNCIL: Prayer and the Pledge of Allegiance. b. Ohio Dept of Liquor Control's notification of an application of a New C2 permit application for ABT Investments, LLC, dba Lorain Community Discount Mart at 1735 Broadway. c. Ohio Dept of Liquor Control's notification of an application for a New D5 permit application to Jorge Humberto Melgoza Perez at 2532 W. Erie Avenue. d. OH Dept. of Liquor Control's notification of a new C1, D5 permit application for Benzitos d/b/a Broadway BP @ 2803 Broadway Ave. Lorain, Ohio. a. Correspondence from Sandra Scott addressing a housing code violation (exterior house painting) along with the lack of city programs available to assist low income senior citizens. a. ____Reso. recognzing and commending the city's recent designation as Monarch Waystations, Urban Life Habitat and Pollinator Garden certifications. b. ____Ord. authorizing the Safety/Service Dir. to purchase gasoline, fuel, oil and other petroleum products listed in Section 1 through State Purchasing w/o bid for one year. c. ____Ord. assessing the cost to abate nuisances by cutting noxious weeds. d. ____Ord. auth S/S Dir. to enter into a contract w/lowest & best bidder for the Black River Wastewater Facility Mechanical Bar Screen project. e. ____Ord. authorizing the S/S Dir. to enter into a contract w/lowest & best bidder for the Black River Siphon Chamber Crane System Replacement Project. f. ____Ord. authorizing the Safety/Service Director to accept the donation of real property located at 702 Broadway, Lorain, OH. g. _____Ord. authorizing the Safety/Service Dir. to advertise for bids for the sale of two parcels no longer needed for municipal purposes. h. ____Ord. 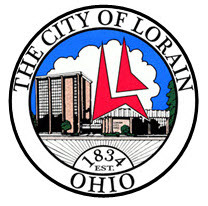 authorizing the City of Lorain to approve the transfer of land subject to CRA agrmt. w/Jovic LLC (Village at Lighthouse Point). j. ____Ord. authorizing the Auditor to pay an invoice submitted the Safety/Service Dept. that invokes the Then & Now Certification exception process, per ORC ($6000). k. ____Ord. approving the CBA between the City of Lorain and the FOP Labor Council (FOP, OLC- Corrections) from January 1, 2017 through December 31 2019.
a. ____Resolution opposing the adoption of State Issue 1 - entitled "Issue 1, to reduce penalties for crimes of obtaining, possessing and using illegal drugs"
b. ____Ord. adopting the recommendation of the Lorain City Planning Comm. to approve the request for reclassification of property located on the west side of Arizona Ave. from R-PUD to I-1 Light Industrial, contingent upon a Special Land Use agreement limiting the permitted use under I-1 Light Industrial to Section 1171.02 (d) Warehousing and Storage Services. a. ____Ord. amending Cod. Ord. Section 913.305 - Rates for Sewer Rental Outside of the City Limits. A public hearing will be held on Monday, November 19, 2018 @ 5:30 p.m. to discuss two applications to rezone 3618 Elyria from B-1 to I-2 Heavy Ind. and six parcels directly across from 3618 Elyria Ave. from R-3 to I-2 Heavy Industrial for a salvage yard. LORAIN CITY HALL WILL BE CLOSED MONDAY, NOVEMBER 12 IN OBSERVANCE OF VETERANS DAY! Bulk Pick Up will be the week of November 12. Yard Waste Pick Up will continue through November 30. Community-wide leaf collection will take place from November 5, 2018 through November 30, 2018; crews will cover the entire city and there will be a truck in every area of the city during this time following a route. Please rake your leaves to the curb line but do not put them in the street. There is no specific day for collection in your area as it depends on weather conditions, equipment and personnel fluctuations. We ask for your patience and understanding. Regardless of the weather, no leaves will be collected after November 30, 2018. Any leaves remaining at the curb after November 30, 2018 must be bagged and placed in your garbage container for weekly trash pick-up. Remember, per Ordinance 311.01(f), it is a minor misdemeanor to place your leaves in the street. Also note, the annual yard waste collection program handled by Republic Services takes place from April 15th to November 30th in case you'd like to place leaves in brown paper yard waste bags or loose in 32-gallon containers clearly marked as "Yard Waste" which do not exceed 40 pounds. Do not park vehicles on or near leaf piles - this will result in the leaves not being collected.